The allure of magic never quite escapes everyone. Not even the online slot developers at Net Entertainment. Well, they decided to put their Midas touch on a magic-inspired theme, and before we knew it, they had launched SimSalabim. Now, this is not the kind of word you get to hear every other day, but it does exist indeed in the selection of catchphrases used by magicians. Most individuals are accustomed to words such as Abracadabra or Open Sesame but not quite Simsalabim. It is quite evident that the term never caught on in many countries around the world, but it seems Net Entertainment have decided to bring it back and help you win some prizes at the same time. This 5-reel, 25-pay line online slot has a payout percentage of 97.5% which makes it one of the highest paying slots in the market today and hence totally worth it. 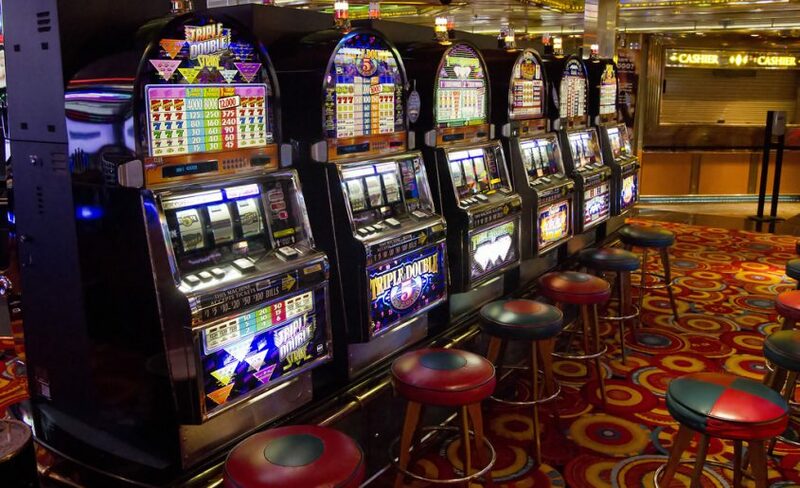 Any individuals who would like to play it can always have a go at reputable online casinos. Examples include BGO Casino and Mr. Green. This online slot brings out the best of Net Entertainment’s 3D graphics whose visuals are striking as always. The magician-related symbols are lavished all over this slot’s screen consequently creating this mystical atmosphere that always looms over the gameplay. The magic-inspired embroidery extends not only to the playing cards but also to the top hats, wands, doves and rabbits as well. Just like all the other elements in the game, the soundtrack that accompanies the game is very consistent with the theme chosen for it. Simsalabim’s features include a magical cube that serves as the scatter symbol and a hypnotist that represents the wild simple. A magic rabbit serves as the bonus symbol. Players get to aim for the highest jackpot which stands at 75,000 coins. The coin values begin at 0.02 to 1.00 while the highest bet you can place is $250. All the controls are located in the lower-left area of the screen and provide access to the settings where a player can alter the graphics, sound effects and other aspects of play according to their specifications. Players who wish to know of all possible payouts can do so through the gameplay interface. Activating the bonus will require a player to more than three rabbit symbols across the reels in quick succession. Once that is done, you get to select a hat for a group of 12 hats on display at the pedestal so at to get your prize. Players wishing to make use of free spins as well as the multipliers will have to land the magic cube on the reels three times in quick succession. This will enable them to activate 30 spins and up to 3 multipliers. Moreover, you also get to receive the additional bonus spins. All these bonus features give a player more channels of growing his /her stake and so that there is always a backup option in case things do not go your way.